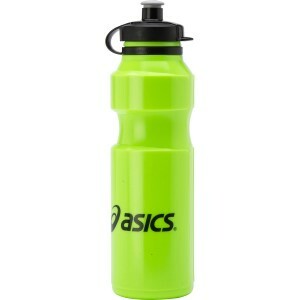 Inject your gym bag with a pop of colour by throwing in the Asics water bottle. With a 750ml capacity, this is your best buddy for rehydration on the move. The water bottle is made with lightweight plastic for easy carrying. For zero wastage, the snap tight lid limits spills and leakage. It’s super easy to drink up with the water spout top, so you can satisfy your thirst while sweating it up.